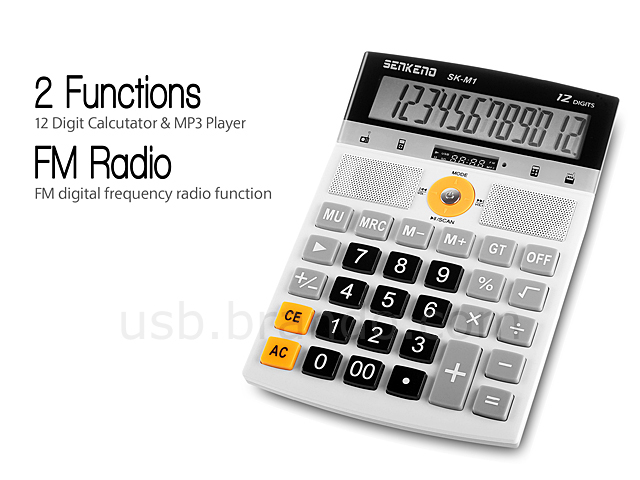 USB Calculator MP3 Player is not only a calculator, but also a stereo speaker / radio / MP3 player. 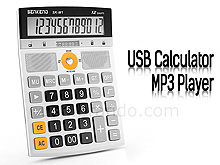 Built-in a USB port and micro SD(HC) card Slot which can read micro SD(HC) memory card and USB memory for playing MP3/WMA audio files directly. 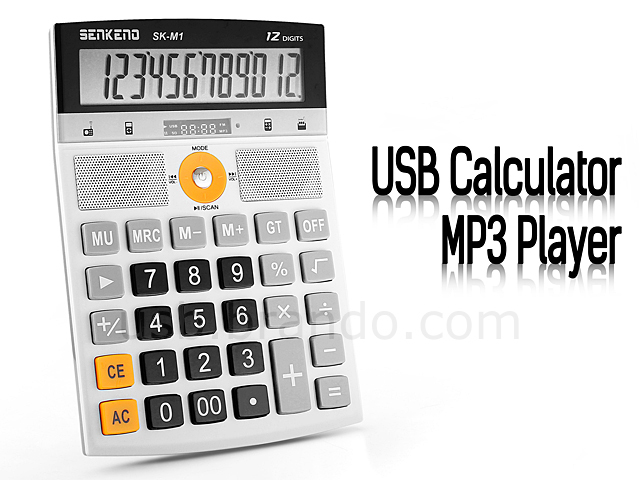 It also allows to connect to all iPods, MP3, MP4, MD, CD player, notebook, PC, PDA, PSP, mobile phone and other digital products with 3.5mm stereo audio connector. 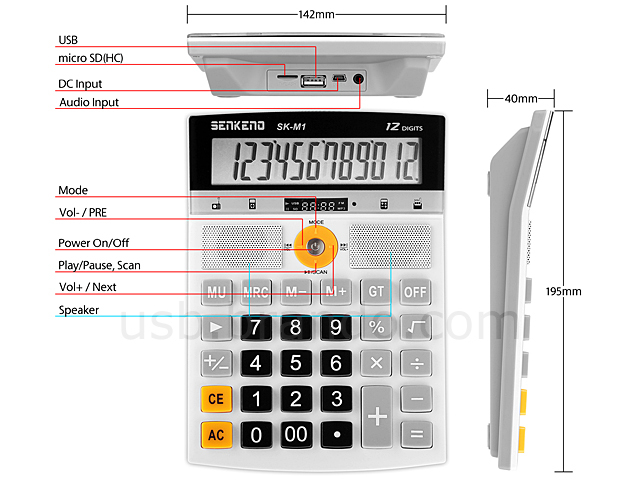 Built in Lithium Ion battery and featured with torch light. convenient to use. 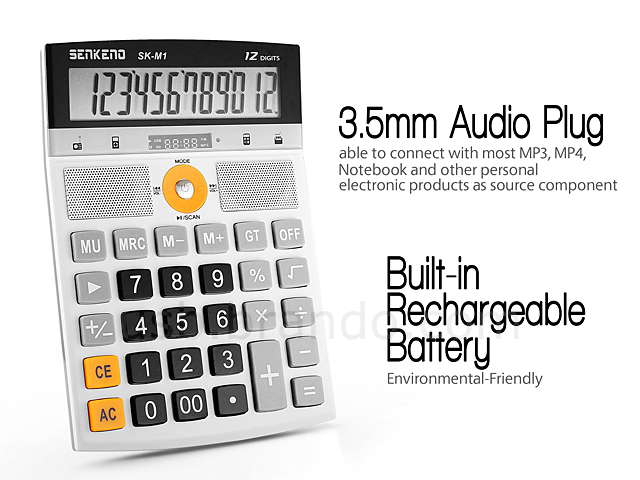 It also can be a decoration for your desk.